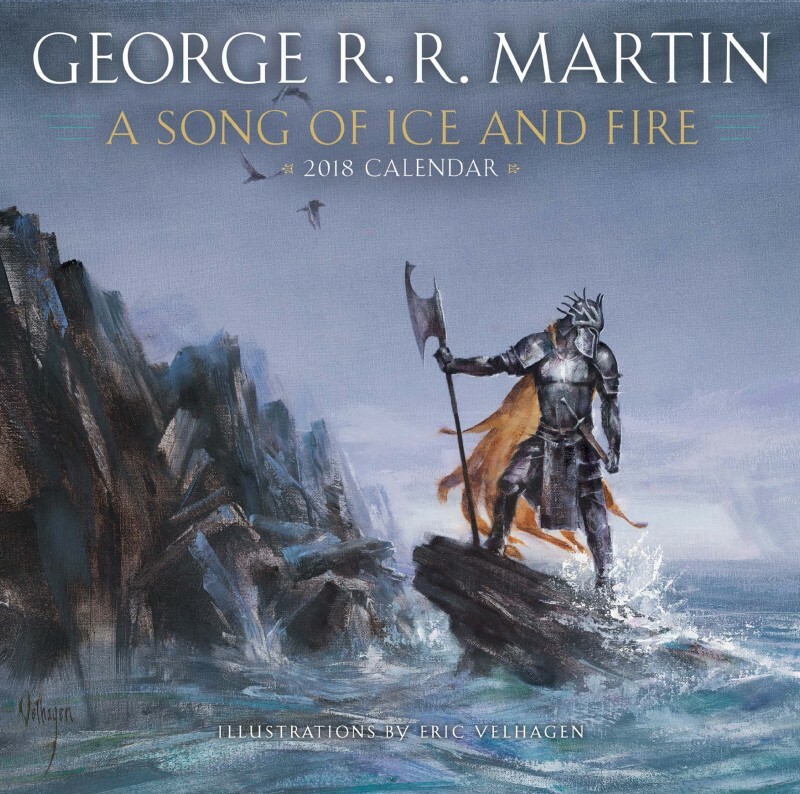 The official 2018 A Song of Ice and Fire Calendar will be hitting shelves in just two weeks. Our understanding is that they’ll be available as well at the Penguin Random House booth at San Diego’s Comic-Con International, as previous calendars have been. This year’s calendar is illustrated by noted genre artist Eric Velhagen, who recently met George R.R. Martin in Santa Fe as Martin’s Jean Cocteau Cinema is showcasing some of Velhagen’s artwork. Only a couple of pieces have been publicly revealed so far, including the cover above, but make sure to take advantage of Amazon’s Look Inside feature to see a two more piece of art featuring an Other and everyone’s favorite pint-sized assassin.